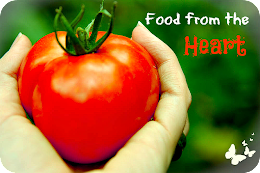 Mindfully Green: Giveaway - Hip Hip Hooray! Giveaway - Hip Hip Hooray! I have decided to do something fun and have a giveaway. 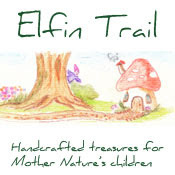 As I am so passionate about making all that we can for ourselves and stepping away from pre-made products I thought I will try and have some giveaways of books or things that I have used over the years that have inspired and help me to grow and learn. 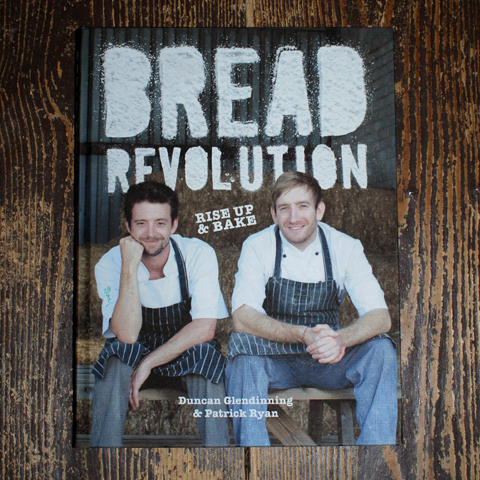 The first giveaway is this great book, Bread Revolution by Duncan Glendinning and Patrick Ryan. My beautiful partner is the genius bread baker in our home and I first purchased this book for him from this amazing store. It was to add to his repertoire and it has been a wonderful companion for his bread baking skills. So I am giving one of these away to one of you lovely people out there. All you need to do is just leave me a comment about bread baking or green friendly things you do in your home to go into the draw and for everyone who posts about this giveaway on their own blog (and then lets me know you have) goes into another super special giveaway of mine. It is a surprise one but - a clue is think 'food lovers bible'. I shall draw the winner next week. I would so love to win this, Amber! I first started making bread when I was 15 living in San Francisco and learnt from a tiny handmade book from the 70s- super hippy! My favourite kind of bread to make was a New Orleans French Loaf x you should go and enter my giveaway too! OUTSTANDING blog! Thank you so much for coming by my blog! I can't wait to learn from you and follow along on your journey!!! Beautiful blog! And thank you for visiting over on mine. I have long baked a lot of our own bread (more in the winter than the summer, because it gets so hot here in the summers and I'm outside more then) and I grind all of our own flour. I always love a new breadbaking book!. What a great book Amber. I love baking and bread is really an easy thing once you get into a routine. I like that it can be so simple and sustaining or more elaborate and fancy. If I am ever stuck for bread in a hurry, I always make a batch of flatbreads. 8 flatbreads in 30 minutes and they taste great. I'll happily share your giveaway on my blog. Thanks so much for your kind comment on my blog! I adore home made bread! I have never read this book but would love to! A couple of years ago I had to temporarily go on a gluten free diet for health reasons. This was before the grocery stores carried so many gluten free items, so that left me making my own gluten free bread from home. I have to say once I did it, I enjoyed it! I would love to learn more! I've been wanting to increase my bread-making skills and habits - this looks interesting. Oh how lovely - I love making bread - the kneading, and the long term aspect of growing something on my kitchen counter - love it! The last loaf I made was the 5 minute bread made in a cast iron pot and it has made me want to experiment more - how timely this book would be. I found you from Tracy's blog, and will definitely be following along - you look like you have great ideas. I have shared the give away details and link on my blog too, so hope you get some traffic from that. Despite working in a bakery when I was at highschool, I only made my first loaf of bread last year - age 35. At our Steiner playgroup we made bread each week, and so I started making at home with my little girl. There is NOTHING like fresh baked wholemeal rolls to accompany a vegetable soup on a cold winter day. NOTHING. I'd love to expand my breakmaking beyond the simple (yet delicious) recipe given to me by our playgroup leader. Who knows, this book may see me attempting hot cross buns and crusty baguettes! Amber, I would love to have this book! You're including all the world in this giveaway? What a treat! Hi Amber! I discovered your blog after you left such a lovely comment on mine, so thank you for visiting. I will definitely be posting about your excellent give-away. What a treat for whoever the winner will be! I love your blog and what you do! Hey Amber...I just wanted to let you know that I nominated you for a Liebster Award at my blog! Come on over and check it out!!! What a lovely blog you have started! Thankyou for sharing your thoughts and goings on. Another new follower through Sunny Corner. My husband is the bread baker and it is his birthday in a few weeks, so this would be fab for him! I too couldn't resist mentioning you on my blog! With this lovely giveaway and your recent tea post I'm a new fan! I've never made my own bread before! And green friendly things well I love all sizes of jars and have quite a big stack. My recent thing is also to make tea using tea leaves..I've been using leaves for herbal for ages, but I do like the convenience of a teabag for black tea. But in order to use less packaging I'm mostly sticking to loose leaf tea. And then when my cup gets tea stains I soak with bicarb, lemon and vinegar. What a lovely book and give-away. I am new to making bread, but have enjoyed the experience with my kindergarten students and at home and would love to further develop my limited knowledge/skills in the process.